Rich smooth reds. Crisp refreshing whites. Bright flavorful rosés. Wine complements every occasion. Sometimes called a wine growler, the VINE holds a full 750 ml wine bottle and is the perfect travel companion for a beach party to a dinner party, freeing you from carrying a breakable glass bottle or pouring wine from a cardboard box. 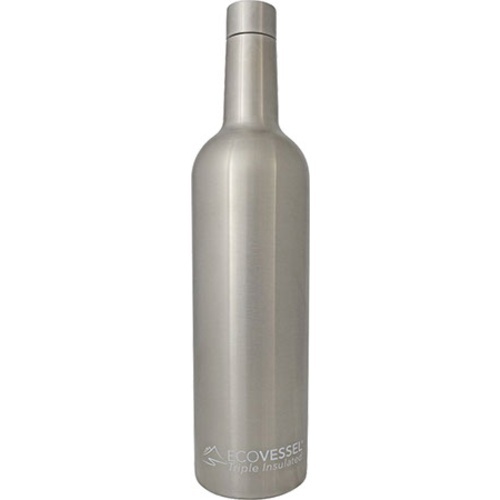 EcoVessel's signature TriMax® Triple insulation Technology keeps your wine at just the right temperature for hours, ensuring your first sip will be as satisfying as your last. Enjoy your drink the way it was intended - any wine, any time, any where. 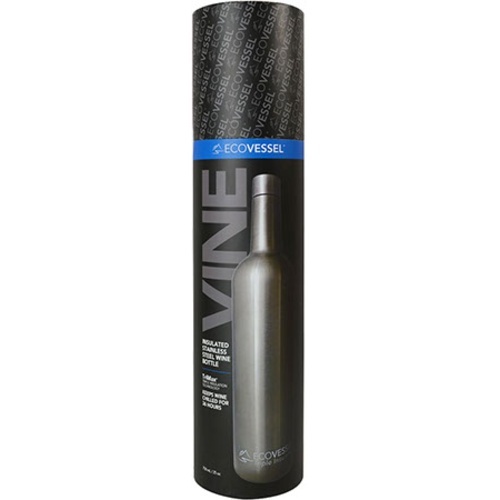 Treat yourself to this sleek, sophisticated bottle or fill it with someone's favorite wine. 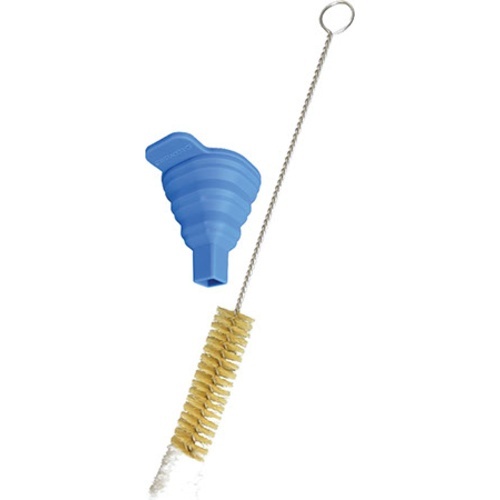 With it's sophisticated packaging and included funnel and brush, the Vine makes for a uniquely special gift. Will a standard carbonation cap fit on these bottles? BEST ANSWER: Hi Douglas - Unfortunately no, these bottles come with their own caps.